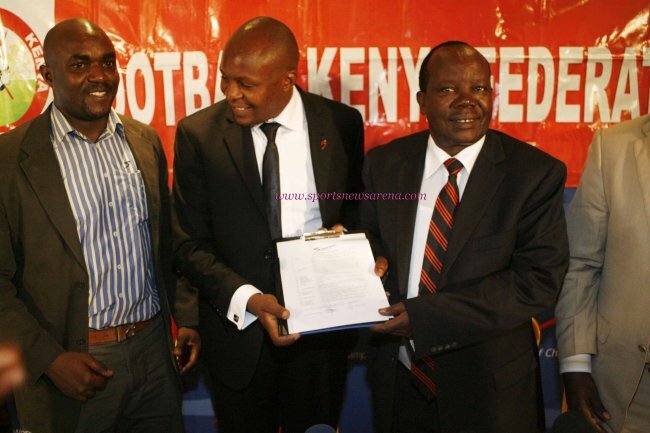 For the first time ever the Nationwide League will be broadcast live on television following a landmark deal between SuperSport and Football Kenya Federation, FKF. Under the agreement, SuperSport will broadcast 20 matches from the country’s second tier of football starting this month. The move is the latest investment in local sport by SuperSport who first took up the TV rights for the Kenyan Premier League in 2008. "We are excited about our partnership with FKF and the opportunity to broadcast the Division 1 games. This showcases our continued dedication to grow football and sports in the country, and gives us a wonderful opportunity to be part of the improved governance structure of football in Kenya,” said SuperSport East Africa General Manager Auka Gecheo. “We will be broadcasting the first match on Wednesday, April 24th at the Nyayo Stadium as the curtain raiser to the night’s Top8 fixture. We do appreciate the support we are getting from both FKF and KPL and we look forward to contributing further to the growth of sports in the region," he added. Multichoice Kenya’s General Manager, Danny Muchira said the move was in line with the company’s policy of providing premium local content to the market. “We will continue making significant investments in local sport which are unmatched by any other operator based on the choice we continue to offer DStv subscribers,” he added. The Nationwide League is split into Zone A and B with each zone having 20 teams each. The winner of each zone is promoted to the Premier League. Last season Bandari and Kakamega Homeboyz gained promotion.